July 1st marks the official start of the second half of the year. It’s a time in which the glass is truly either half full or half empty – and the answer hangs in the balance of what you do with these final six months of the year. It’s a time of redemption if you are behind on your goals, as you can still save the year with heroic effort. And it’s a refreshing time for reflection on everything that’s happened so far and what the lessons learned are, as well as the goals to finish the year strong. If you failed to produce a sensible budget for the first half, now is your time to create a new plan of action. Everything is still possible at mid-year. And, of course, July also marks the start of our country, with July 4th serving as Independence Day to what has grown to be the most affluent nation in the world. But it wasn’t always that way. Back in 1776, a group of daring visionaries risked everything to start a nation based on fundamental beliefs that seemed impossible at the time. They accomplished the impossible and the United States was born. If you need inspiration for the second half of the year, look no farther than that. We would also like to take this opportunity to thank the men and women of our military that have created the freedoms that we all enjoy today! We all know that every mobile home park must have a manager. This is your front line in your endeavor for rent collection, property condition, customer retention – everything that makes your property profitable. But who manages the manager? Is it you? Or are there other options? It’s definitely at topic that all park owners ponder on a continual basis, particularly as they add more properties on to their portfolio. If you assume that the manager is your key team member, then how you manage them is equally significant. Many park owners are their own worst enemies when it comes to managing the manager. They send bad signals, such as “sure, just get it done” without explaining budgets or goals. A poorly supervised manager is almost certain to fail in a variety of ways. So there can be no question that this topic is extremely important to any successful community. Of course, you can buy almost anything in America – but is it within your budget? Before you even begin to examine options for managing the manager, you need to know how much you are willing to spend, as that will greatly influence your options. When I hired my first “manager’s manager” my budget was $2,000 per month. My only option was a retired apartment manager who worked out of her home. At the same time, larger portfolio owners will sometimes pay $100,000+ per year for their supervisory talent. You need to figure out what you want to spend and stick with that. The next question is exactly what you are willing to delegate. For many owners, there are limitations with what they are comfortable with – and for good reason. Every owner should keep a strong handle on the purse strings, and should remain fully in charge of any sensitive issues, such as preparation of the monthly financial statements. What most owners are looking for, in our opinion, is someone to be the interface with the park manager: to effectively eliminate your time drag and systemic shock in having to talk to the manager. It’s a function kind of like a shock absorber. The manager tells their supervisor that there is a water leak, and the supervisor manages it to completion without your involvement. The only time the supervisor gets you in the loop is if it’s over a certain amount of money or if it’s an unusual problem and they don’t know what to do. That frees up the owner’s time and schedule to worry about more important things. Doing it yourself. This is where all park owners start out. It takes about 4 hours a week, plus some patience on the phone talking to the manager. The benefits are that it keeps you 100% in the loop on every issue. The problem is that it keeps you 100% in the loop on every issue – including a whole bunch of issues that you don’t need to be involved in and wastes a ton of your time. The ability to manage your managers becomes even more strained when you add on to your portfolio. Most owners seem to hit a wall when they get to five parks, but others are still hanging in there with 20 or more.. Hiring a direct employee. You run ads, receive resumes, and select the best candidate that meets your budget. This person is 100% yours to train and instruct as you see fit. You show them that your key measures are 1) collections 2) occupancy 3) water & sewer costs 4) property condition and 5) budget/actual/difference. You set the schedule for contact and updating, which ranges from daily for some owners to weekly for others. Hiring a professional management company. In this scenario, the owner delegates the responsibility for managing the manager to a professional management company. Your interface is then between you and the management company, and you effectively have no further contact with the field personnel..
I’ll never forget when I hired my first manager’s manager. I had five parks at the time and was interrupted by calls from the managers day and night – often on trivial issues that seemed more make-work than legitimate. It was really intruding on my lifestyle. So I bit the bullet and hired a woman named Dee, who was a retired apartment manager. I paid her $2,000 per month and she worked from home. My instructions were to answer the phone when the manager called and to only call me when she didn’t know what to do with the situation. I gave her the budgets and my goals with the property. I gave the managers her number and told them not to call me going forward, only her. And then the craziest thing happened. I got my life back. My cell phone never called. And Dee became a master of not only hitting the budget but of renegotiating vendor bills and all kinds of other skills that saved me money. I maintained my bookkeeper and accounting to do the statements. It was one of the best ideas I ever had. If you’re going to use a professional management company, make sure that you have a handle on their abilities and track record. Anyone can hang a shield out there that says “management company” but you’re doing yourself a disservice if you don’t know who you’re trusting your park to. Some of the best of these are Star Management in California and Property Eye in Texas. Hiring a manager’s manager can be an excellent idea when you start to get burned out on managing your own park, typically once you reach around five properties. It can allow you to divert that time into activities of more value – like buying more parks. Trash is hideous stuff (unless your own the trash company). Yet many park owners fail to understand how to properly build an effective enclosure for their dumpsters. It’s so simple, yet so often overlooked. Take a look at the dumpster enclosure in the above photo. What’s going on here? How could this be better? There are two types of fencing: 1) ugly and 2) attractive. When you build an enclosure out of wooden fencing it’s guaranteed to be hideous given a couple years or less. All decent enclosures should be made of long-lasting materials that can take the stress and hold up to constant abuse. The best of these are white vinyl and metal. If you already have a wooden enclosure, at least paint it regularly and keep it looking good. The dumpster enclosure is supposed to hide the dumpster from the road and residents’ view. That means it has to be on the road side, with doors that swing open for the trash truck, and are locked the rest of the time. It’s three sided with the open-side on the back, away from the street. It’s amazing how many parks have this backwards == probably 70%. Not only is the “backwards” enclosure of no value, but it’s an open invitation for dumping. You simply back your pick-up truck to the open area and start tossing your shingles/tree branches/trash and junk. That dumping activity will cost you a fortune in clean-up costs, as well as make your park look terrible and even encourage residents to stat tossing their own trash everywhere. When you block access from the street side, it’s too much effort for the dumper to toss it over the fence, and too visible to those residents peering through their windows. They will instead find an easier target and move on. Good dumpster enclosures are attractive, block the trash from view for residents, and discourage or eliminate illegal dumping. Bad ones do none of the above. They both cost the same. So let’s see if we an stop these hideous eyesores. I get much of the inspiration for MHU from my experiences in owning a 1965 Corvair Monza – that crazy air-cooled convertible that tried to compete with the Ford Mustang (with little success). Those who buy a Corvair acknowledge that it’s neither highly valuable or highly safe, but that it’s a fun car that’s fine to drive at low speeds and short distances. Because of it’s awkward history and lack of demand, those who own these cars are thrust into a fraternity of like-minded individuals that are essentially a club. 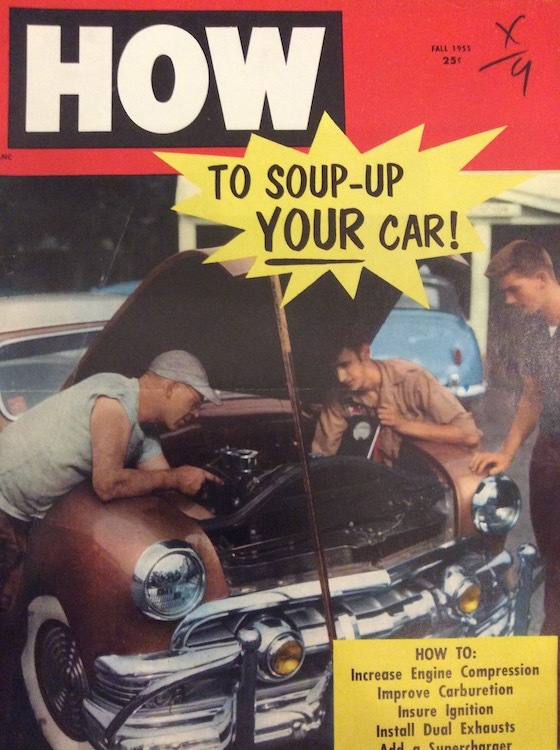 And the level of help that Corvair owners give to each other is quite unusual. You can literally call a Corvair parts company, and they’ll send you not only the part you paid for, but a bunch of other ones they think you might need in the future. The same is true of park owners, who are always more than willing to help each other and offer advice to those in need. But why are park owners so helpful? There are many reasons. Have you ever met an unsuccessful park owner? 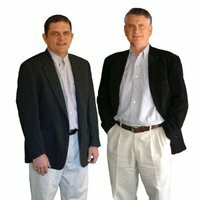 I haven’t outside of buying an REO property from a bank. Most mobile home park investments succeed – despite the lack of effort from some owners – simply because the laws of supply and demand. But the bottom line is that this success leads most park owners to be collectively happy in nature. On top of that, older owners typically have their debt paid off or nearing such, and don’t have a lot of financial strains. Happy people tend to be more chatty than those who are on hard times, and that’s the first reason by park owners talk so much. Of course another factor – which we’ve written many articles on in the past – is that the majority of mobile home parks are owned by the “Greatest Generation” and “Silent Generation”, which are two of the greatest demographic subcategories in American History. They are helpful because they believe it’s the right thing to do. These are the people that, when you ask them directions, will tell you “here, follow me” despite it’s not in the same direction they were really going. We’ve always said that the greatest crisis in America is not affordable housing, but the eventual loss of these folks. We’re not sure what will happen to the U.S. without them. Probably the biggest reason that park owners talk to each other constantly and openly is that they are not a threat to each other. Since 98% of all mobile homes never move, you can’t steal their customers and they can’t steal yours. And, on top of that, most park owners are protective of each other because any legislation or issue that harms one park harms them all. In some industries, such as high-tech, competitors are constantly searching each other’s discussions for clues on their business and clients. This is not that industry. The key attribute of having open lines of communication is lowering cost. If one park owner finds a great evictions attorney that only costs $100 per case, then why not let your park buddy down the street know. Or if you find a good rehabber, why not let them work on other park owner’s homes when you’re full. It helps to continue low costs when you ensure that the vendor has a enough work (remember that Walmart’s business was founded on the concept of volume). If you want to know the answer to something that’s park-related, why not ask the owner down the street? You’ll probably find them to be jovial and talkative and full of great information. How Can You Determine The Future Growth Potential Of A City? Every giant city began with a single resident. Some grew to enormous proportions, while others never grew at all. Since there’s no question that growing cities lead to growing lot rents and demand for lots and homes, it’s always important to determine the current and future strength of every market. So how can you accomplish that? Any first study of the future potential of a market is a granular review of the data on www.Bestplaces.net . The key items to look at are 1) current metro population 2) population increase or decrease 3) median home price 4) average apartment rent 5) vacant housing percentage and 6) spread of industry employment (looking for diversity). There is similar data from www.City-data.org, but it appears that Bestplaces is winning the data war, much as Google beat out AskJeeves. There is no better predictor of future success than being near a Walmart. For decades, Walmart has been the leader in market diligence and projections. Their abilities are uncanny and many groups (like Dollar General) merely piggy-back off their site selection because there’s no way they can compete with their vision. Our most successful parks have always been those with the closest proximity to a Super Walmart. Similarly, any metro market that does not contain a Walmart is typically a sign of imminent decline. It should be noted, however, that we’re talking about Super Walmarts here and not the Walmart Neighborhod Grocery Stores of the old, outdated Wal-mart stores that are gradually being replaced. Here’s some important diligence data that almost anyone can access yet nobody knows it exists. I learned about it when I owned my billboard company back in the 1980s. it’s a reference manual that outlines all of the road development projects in the city or county. These books are the backbone of the system in which our major roads are built by the government. First there is a motion to discuss building a new road. Then there is a public hearing on the topic, followed by more discussion and internal voting. If the new road is approved, then it goes to bid. If the price works, ten they start acquiring the right-of-way though imminent domain or peaceful purchase. Then there is a slated date to begin construction followed by completion and dedication. 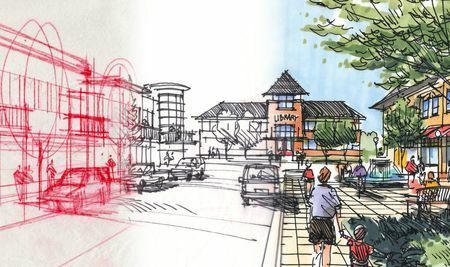 Obviously, any market that has lots of new road building projects means there is expected to be a ton of future development (and if there’s nothing in the works, then the market has little inertia). And existing road expansion follows this same format. Billboard company owners new – back in the 1970s – that Dallas was going to grow to the north because that’s where all the road activity was. Call your state’s high department or county roads unit and see if you can buy a copy of this book. It’s a great resource. Nothing makes or breaks a market like employment. When jobs are strong, cities grow. And nothing kills a market faster than huge unemployment. You can get a rough handle on this through dissecting the top employers and how much of the market they control. You start out by creating a list of the top ten employers and how many employees each one has (almost any Chamber of Commerce has this data, and you can also find it on Google normally). The way we look at it, there are three great employment sectors in the U.S.: 1) healthcare (typically hospitals) 2) education (public schools as well as colleges) and 3) government (Federal, state and city). These are not subject to layoffs regardless of the U.S. economy. Then you have your private sector employers, who do have inherent risk. You can get a handle on each one’s future potential, but the big point is that you don’t want to invest in any market that has too much exposure in any one industry or employer. We call these “one horse towns” and they are often a recipe for disaster. For every city that comes to grips with that one huge source of jobs, there are ten that watch them move operations or have their product destroyed by new technology. Just ask the residents of Detroit, which was basically 100% owned by the auto industry. This is one of the most interesting features of a great future market. We call it “gut feel”. It’s what led John Jacob Astor to buy up Manhattan in the 1840s and investors to buy up Austin in the last two decades. Good markets just “feel right” because all the planets align and you know it. To tap into this potential, keep your eyes and mind open and soak up data like a sponge. Your brain is still superior to the computer (although that gap is closing rapidly) and you should give it more respective. When you get that “hunch” you need to follow it. Real estate is all about location, location, location. So you’re ability to select locations that have great futures is essential. Use these concepts to give you an advantage. 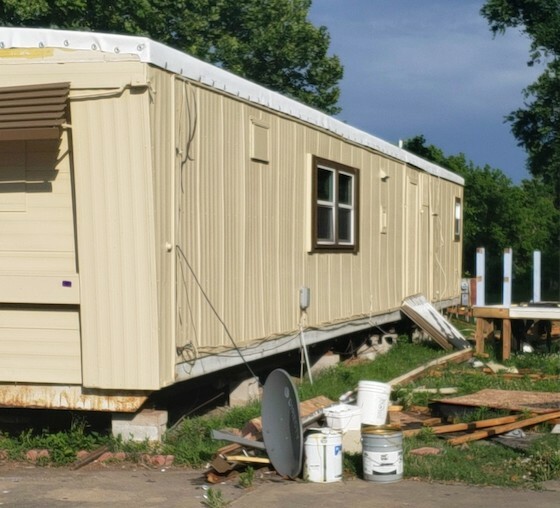 There are many reasons that a mobile home can be abandoned. Maybe the resident lost their job and had to move to a new location and gave up on trying to sell the home. Perhaps the resident died and the estate did not do anything with the home (if the heirs could even be found). And – most commonly – the resident could not pay their rent and, which faced with eviction, simply ran off. So how do you deal with abandoned homes? There’s a simple methodology. The starting point on any abandoned home is trying to get the story from the seller or, if it just happened, the park manager or neighbors. Find out if there is 1) any idea of what happened to the resident to make them leave 2) if there’s a HUD seal on the back and what the number is 3) the size of the home 4) the condition of the home (but do NOT enter it at this point) 5) who is shown as the owner on the rent roll and/or lease 6) who is shown as the owner in the tax rolls 7) if the property taxes are current and 8) if it is shown as being part of the personal property that was conveyed by the seller at closing. Basically, gather all the important details. Is there a publicly available title to look at? If the home has a HUD number, then get on your computer and see if you can find the title on-line. If not, then call the state body that governs mobile home titles and see if they can guide you to the source. If you can find the title, print a copy of it off your computer or take a smart phone photo of it, and note who is shown as the owner and if there is a bank lien. Is this home supposed to be yours? If the mobile home was conveyed to you at closing, and the name on the title does not match the seller’s, then you already know you have a title problem. You can’t convey a home that is not in your name. But if you have a document showing that the seller sold you the home, then you need to proceed to the “get a title” part of this article. If there is a lien on the title, then your next step is to send the listed lender a Possessory Lien Notice. This notice gives the lender typically ten days to remove the home or to start paying lot rent. All past amounts owed are forgiven and only the amount going forward is possible to collect. And this obligation becomes a mechanic’s lien on the part of the lender, so they can never remove the home without paying you in full. Often, the receipt of the Possessory Lien Notice will trigger the lender to call you and sell you the home. If there’s no lender on the title, then that means that you’re dealing with a home that can be sold through an abandoned property auction. It is best to take this step by hiring an attorney, as the damages can be severe if you take over property that is not officially yours. The basic steps are a certified letter to the last known owner (typically the person on the lease) followed by an ad in the paper and an auction day and time in which the high bidder gets the home. Typically, it has been our experience that nobody shows up and you get the home for $1. However, sometimes you don’t even want it at that price. You can always invite anyone to the auction (it’s public notice) and that includes somebody else in the park that wants to do “Lonnie Deals” or to be a rental landlord. There are many reasons why you might not want to buy the home at auction. These would include 1) not wanting to do home renovations 2) worried that the home will be hard to sell or rent due its age or size 3) not having a license to sell homes and 4) not wanting to have your manager have to get involved in showing and selling/renting mobile homes. This is the most unpleasant part of the entire process. In most states, the sale of a mobile home must include a title (if not immediately then at some point). But the entire system to get a title to a mobile home is fully broken in most states. It’s an exercise in frustration. Although the abandoned property auction is supposed to yield a new title from your state, actually receiving it is a challenge. If you didn’t take the home through auction, but through original Bill of Sale, then you still have to get a title. Better get a hold of your state’s MHA and get the ground rules. And an easier path is to simply try to contact the name on the title and see if they will sign the form to transfer the title to you. When you find a vacant lot in your mobile home park, there are many more steps than you would expect. But you must follow these steps or risk costly litigation. The good news is that you can completely resolve any vacant homes if you only understand the steps to do so. This is an ad from a magazine I found in an antique store recently. 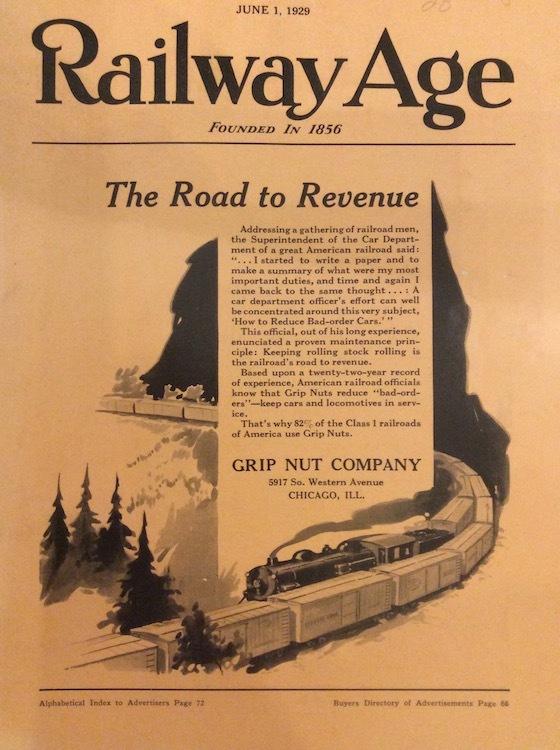 It’s a trade publication for the railroad industry called Railway Age, dated 1929. As you can see, mobile home park owners are not the only group trying to continually figure out new ways to improve operations and net income. And this pursuit is one of the smartest efforts any park owner can make. So why is this so important? Are there still great ideas yet to come? Absolutely. Look at the above list. How much have you profited off any of these ideas? We have switched all of our sub-meters over to Metron, have done more CASH deals that anyone else in the U.S., refinanced a huge amount of our bank debt into Agency debt and are doing HD videos of every property every quarter to monitor property condition. And each of these ideas pays huge dividends. Each CASH home saves us $35,000 of capital in filling that lot, and the Metron meters save us thousands of dollars per year per park. If we could all just harvest one great idea annually, it would be a huge success. On concepts that create additional net income, this enhances the value of the property by roughly ten times the annual increase (based on a 10% cap rate). So a “million dollar idea” is any concept that increases your net income by $100,000 per year or so. If you’re lot rent is $400 per month, then every 20 CASH home deals you do is worth $1 million to you. An idea that simply generates $300 per month in net income is worth $36,000 in enhanced park value. So the financial gain from a granular examination of your business is huge. All industry publications (and since most are free you should sign up for all of them). The Mobile Home Park Investing Forum. Taking your monthly revenue and expense budget and coming up with a creative concept to boost or cut each line item. Go to your state’s MHA meetings. 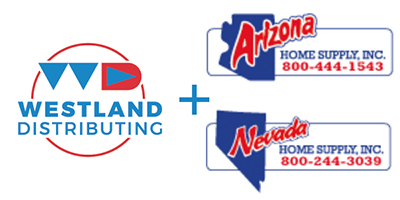 Go the MHI meetings in Las Vegas or Chicago. Read up on the apartment industry and attend their tradeshows, as many of our best ideas came from that sphere – which is much more advanced than the mobile home park sector. All smart park owners should be constantly on the lookout for the next big idea. It’s a natural part of any business strategy, and just one good idea justifies years of search. A resident wanted to move their home into one of our parks recently. When you get that request, the first thing you always ask for is a photo of the outside of the home, to make sure that it is presentable and in keeping with your rules and guidelines. Fortunately, in this case, the homeowner gave us not only the outside photos but the inside, too. And what a huge difference there is! The outside is a disaster, needing everything from a new roof to total paintwork and shutters. But the inside is spectacular – far nicer than most new homes coming out of today’s factories. 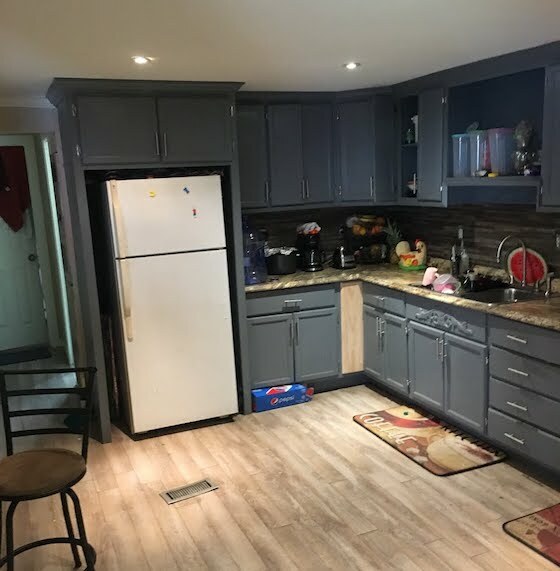 The owner has even put in granite countertops. So what’s the moral here? Every mobile home has a story. 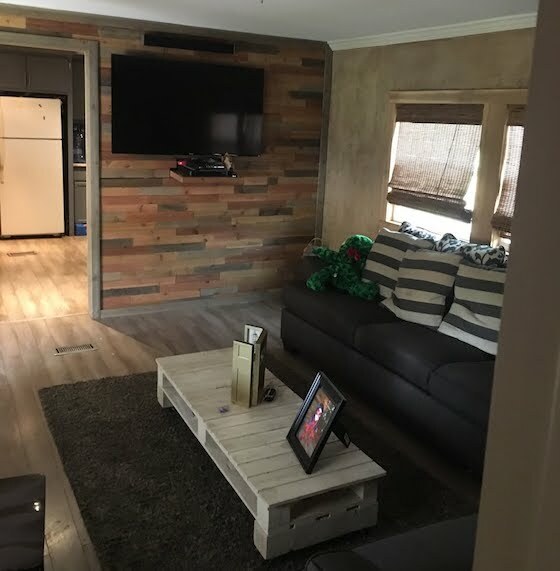 In this case, the owner is doing a full renovation of their mobile home, and wanted to move it to a nicer property before starting the work on the outside. They clearly know what they’re doing, and have the necessary talents to put their plan into effect. So we were more than happy to sign a lease with them and let them move in. You see this all the time in mobile home parks – situations in which you have to keep an open mind and get all the facts before making a decision. We are all prone to make snap judgements and think we know it all. But there are many occasions in which the smart owner holds back on rendering their decision just based on first impression. If you saw the outside only of this home, you’d say “no”. But when you see the inside, the answer is clearly “yes”. Always give the customer the benefit of the doubt until you get all the facts, or you’ll miss opportunities like this. Virtually all mobile home park owners favor properties that have little or no park-owned homes. But that does not mean that park-owned homes don’t have some significant items in their favor. Here are the top reasons that having park-owned homes can sometimes be a benefit. Since most every mobile home park in the U.S. has lot rents that are woefully below market. Economist Charles Becker of Duke University estimates that mobile home park lot rents are 30% to 40% too low. Although we all know the rents are ridiculously low, the problem is how to raise them without impacting your resident’s budgets and with the least pushback. So how does a park-owned home make this easier? Because when you rent a mobile home, you have no knowledge or interest in how much of the lot rent is allocated to lot rent and how much to home rent. As long as the home rent is greater than the market lot rent, you can go to full market lot rent instantly. For example, if the resident is paying $600 per month for the mobile home and lot, you could allocate $200 per month to the home and $400 to the lot rent – which might be 200% more than the current lot rent. There’s no pushback and it can be done as fast as you send the notice out. Another benefit to park-owned homes is that they can never really leave the park. Since only the mortgage company has the money to pull homes out, the sheer absence of a hostile lender and repo man is very reassuring. On top of that, since the homes belong to the park owner, they will receive better renovations and have greater longevity. Probably the best part about park-owned homes is that they scare away many park buyers. The average investor prefers parks with no park-owned homes (and we’re no different). However, we’ve never seen a zero down deal that did not come with some park-owned homes – and what happens is that the seller gets desperate and offers outrageous pricing or terms just to attract a warm body who might close the deal. Although we all prefer parks with little or no park-owned homes, the truth is that we’d rather have a park with vacant homes than vacant lots. 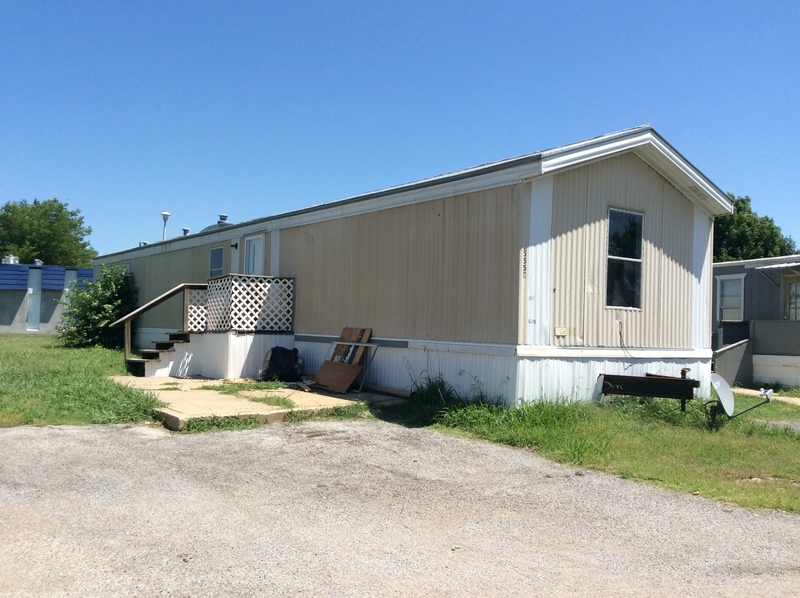 Any decent mobile home park will attract 10 calls per week for a vacant home, but next to none for lots. If you buy a park with 10 vacant homes and 10 vacant lots, you’ll have those homes full and income producing before you even get one lot out the door. OK, we’re all in agreement that parks with zero park-owned homes are a very sought-after commodity. However, there are some benefits to these units that are often overlooked. With the potential to raise underlying lot rents quickly, the peace of mind of no repo man, easy fill rates and the key driver to lower park prices and better terms, there are some benefits that can pay big dividends. Here’s what happens when a resident is not paying attention and starts a grease fire. The home is a total loss. We have several of these occurrences each year, by virtue of owning over 30,000 lots. 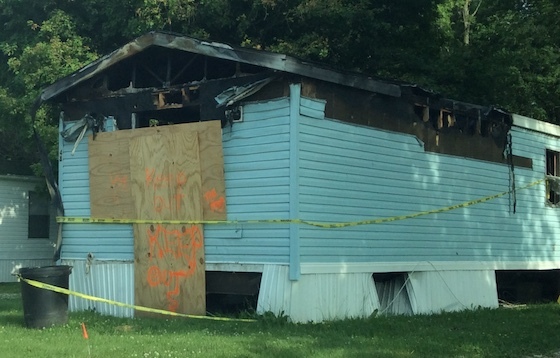 These are our lessons learned about mobile homes and fire. I have been inside one of our properties at the exact moment that a home caught on fire. The resident immediately ran outside (it was a grease fire) and we watched the home burn until the fire department arrived. Here’s how the fire unfolded. The home looked from the outside like it was completely fine, but there was smoke oozing out of every window and door seal. Then the fire department came and broke out the windows and doors with an axe, and the influx of air increased the flames momentarily. But the fire never burned through the roof or walls, despite the fact that the home was a total loss. The bottom line is that mobile homes don’t burn well. They are relatively air-tight and the interiors are mostly made of plastics and other compounds that don’t really ignite easily. Based on this takeaway, it’s essential that all mobile homes have sufficient – and working – smoke detectors. Although you may be confident that the alarms you installed are in perfect working order, you need to memorialize that with a signed agreement from the tenant as it’s a common practice in some mobile home parks for the residents to tap into the smoke alarms when they suddenly need a battery to work the TV remote. And, of course, they’ll blame you in the event of a fire, even though you did nothing wrong. Fire is a very serious topic and should be very vigilant for any potential problems in any home you own, as well as throughout the park. Watch for anything that appears to be charred or discolored around breaker boxes or poles. And tell your manager to do the same. The combination of proactive observations and reasonable insurance should insulate you from most any occurrence. When I watched that home burn from the grease fire, I knew it would have a bad ending. The residents rarely carry insurance on their homes. So the typical ending is that the resident abandons the home and the park owner has to pay around $2,000 to tear it down and then another $1,000 in lost lot rent and further thousands of dollars in bringing in a new home to fill that vacant lot. That’s exactly what happened with this home. A burned home is a really bad deal for the park owner, so you have as much skin in the game as the tenant does (or more). While residents may rarely have home insurance, there’s no excuse for you not to have it on your own park-owned homes. Yes, you can insure virtually any home of any age. Contact Kurt Kelley at Mobile Insurance and he can get you some quotes. It’s reasonably priced and you can get bound rapidly. Mobile homes and fire do not get along well. Make sure you understand what you’re up against and insure your downside. The time to think about proper planning is not when you hear a siren coming.